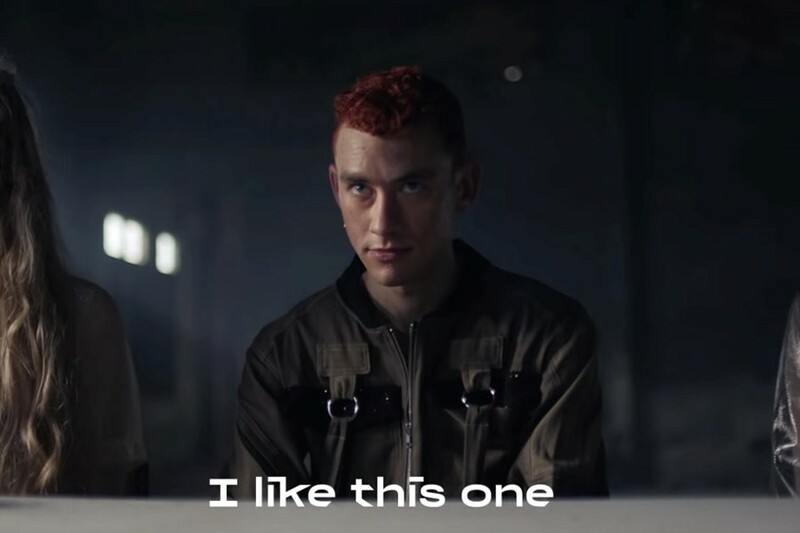 Years & Years have released an electrifying, futuristic short film to coincide with their second album Palo Santo, released on Friday. The film, also titled Palo Santo, features Ben Whishaw and Thai actor Vithaya Pansringarm alongside Years & Years frontman Olly Alexander, and is narrated by Judi Dench. Directed by Fred Rowson and produced by Blink, the 15-minute film continues a narrative introduced in the band’s videos for “Sanctify” and “If You’re Over Me”. According to Alexander, the premise of the film came to him as he wanted to create a world where he could be his “freest self, not tied to a gender or sexuality” – so naturally he finds himself performing in sensual cabaret for androids. In the world of Palo Santo (which translates to “holy wood”), androids have taken over and crave the feeling of true emotion. Humans, like Alexander, are recruited to perform for The Showman. With a neon colourscape, a dance breakdown, and most importantly Judi Dench as the ‘Mother of Palo Santo’, this sci-fi musical tale joins the likes of Janelle Monae’s Dirty Computer for queer pop visions of the future. The film is a reunion for Alexander, Dench, and Whishaw, who previously starred in a London production of John Logan’s play Peter & Alice together in 2013. Revisit our interview with Olly Alexander on harnessing the sexual power of pop, and watch the Palo Santo film below.